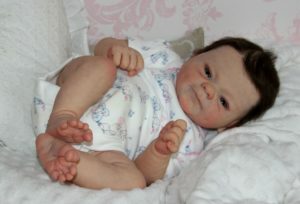 I started collecting reborn babies several years ago. Little did I know then the journey my hobby would take me on. 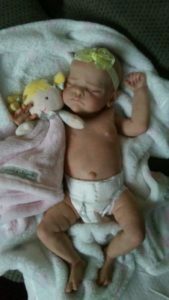 It started small as I guess most hobbies do, with just the one baby. But it was almost like once I started it wouldn’t stop. I would scroll through internet pages of different babies, watch countless Youtube videos of people role-playing with babies, working out different ways that I could get the babies that I like. It was not unknown for me to spend hours planning what type of nursery I hoped to have one day, just imagining it was a lot of fun. 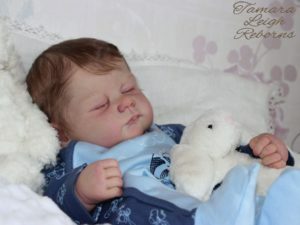 I would also, and I am hoping that I am not alone in this, I would go out with the intention of buying myself something, whether it was an item of clothing or piece of furniture, whatever really, and I would end up coming back having spent money on the reborn baby instead. 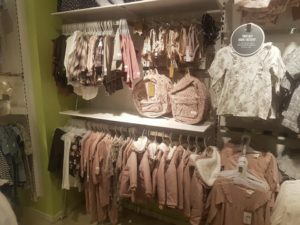 It got to a point where I started to wonder if it meant that I had a problem, it became almost impossible to shop without buying something for the babies.